Every business wants to find the most efficient and least expensive way to operate, without sacrificing quality or customer satisfaction. Many companies overlook barcode labels as a source of costly inefficiency and downtime. In this article, we take a look at the hidden long-term costs of using the wrong labels and supplies. Barcode labels seem so simple that it’s easy to take them for granted. Most companies will typically just buy the cheapest labels they can find. They pay little attention to how the wrong labels can negatively impact up-time, operational performance, and customer service. Many people don’t realize how important label quality and the right combination of label materials are to accurately scanning barcodes. Labels must also remain adhered, and withstand the environmental factors of your application. In thermal barcode labeling, it’s crucial to use the right labels with the right facestock, top coat, and ribbon. This is so your barcodes and other information print correctly on each label and withstand the environment. Otherwise, you can end up with bad reads that disrupt crucial scanning operations and slow down business. You can waste time and cost by having to reprint and re-scan labels. Many businesses make the mistake of using low-quality labels designed for office use or only the most basic applications. This can lead to adhesion failures. If a barcode label falls off, you can’t scan them and can end with operational disruptions. Adhesive failure is a common problem, particularly where a specialized label adhesive is needed for exposure to extreme temperatures, abrasion, chemicals, or sunlight. Often the most expensive problem with using the wrong labels or low-quality materials is premature print-head replacement. Poor label quality can cause Print-heads to degrade quicker. This can cost hundreds or even a thousand dollars, so you want to get as much life out of them as possible. Many businesses also use the wrong combination of label materials and ribbons. This leads to using excessive print darkness and burning through print-heads prematurely. Label materials and ribbons needs to be carefully matched to ensure proper print quality and minimize print-head and overall printer wear. Our labeling experts at ValuTrack are committed to helping our clients save money over the long haul and avoid the pitfalls of the wrong label supplies. This is why we recommend high-quality labels and printing supplies from Zebra Technologies. All Zebra labels and supplies are rigorously pretested for print quality, adhesive strength, minimal print-head and printer wear, and specific application requirements. Zebra has an great track record of producing outstanding supplies based on ISO9001:2008 quality procedures. They offer 500 stock options with over 1,000 possible combinations for virtually any labeling requirement. Zebra’s R&D team can also design a completely custom label solution if you have highly specialized requirements. Plus, if you use Zebra printers and agree to use Zebra supplies exclusively, you get 100% guaranteed protection against premature print-head failure. 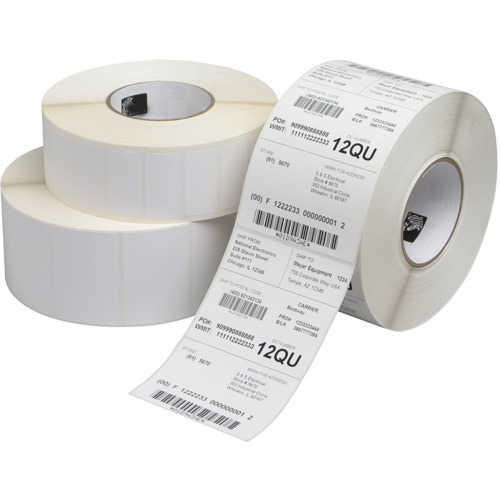 To learn more about Zebra supplies and how you can save on operating costs by upgrading to the right labels, contact ValuTrack at 877-484-8187 or [email protected].